DuraSightTM Dead-On 1-Pc. 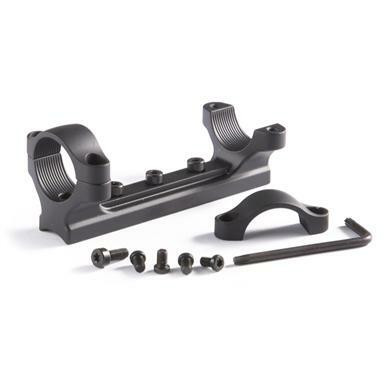 Ring & Base System for muzzleloaders. Simply the strongest, best Mount available for your black powder rifle and scope. American-made from Z2 alloy, 50% stronger than standard aluminum. Simple, reliable 1-Pc. design to mount 1" tube optics for years of rock-solid performance. Includes Allen wrench to install, fast. Choose from 2 sizes: Medium (for up to 40 mm scope) or High (for up to 50 mm scope.) Fits CVA® Optima Elite Center-Fire Barrels, NEW CVA SCOUT Rifle (all Models) and all 2010 Model CVA Muzzleloaders (Wolf, Optima, Accura V2, except CVA Apex).